Many homeowners choose to install beautiful natural stone flooring in their home. The stunning look of natural stone is something that cannot be found in any other type of flooring. As you live with your natural stone flooring you will notice the wear and tear on your flooring. Stone is natural and requires maintenance that will continue to enhance the stone’s interior crystals. 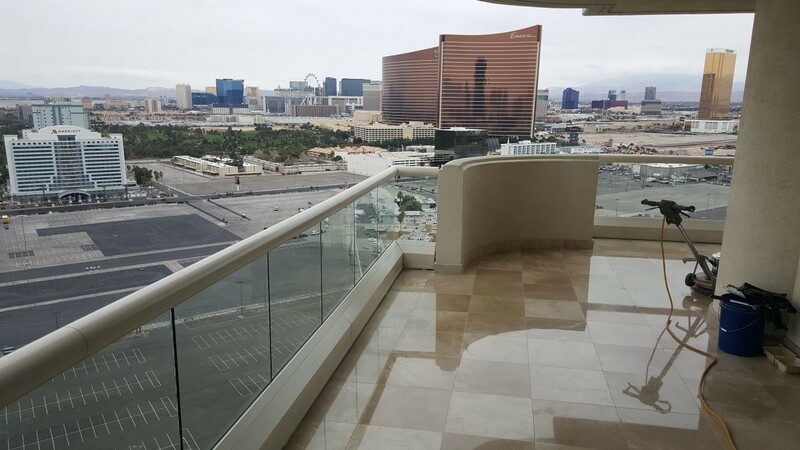 When this maintenance is performed it is a delicate balance of enhancing the stone and also remembering that natural stone has a very delicate surface. 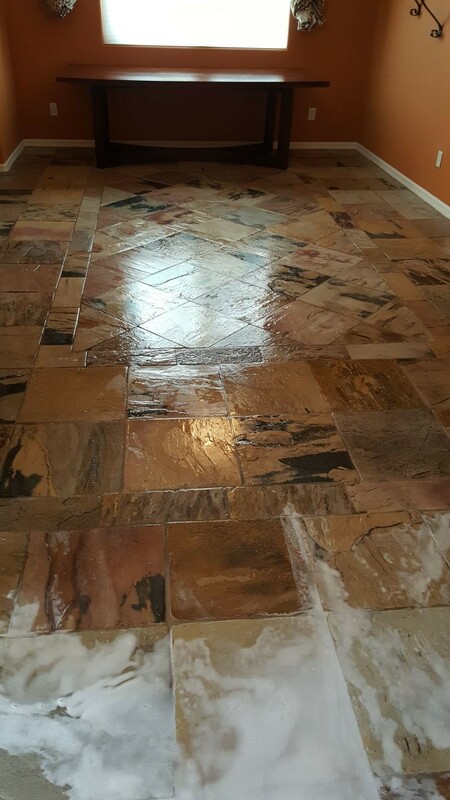 Polishing your natural stone flooring can take a floor that is currently dull and lifeless and bring back the natural beauty of stone again. 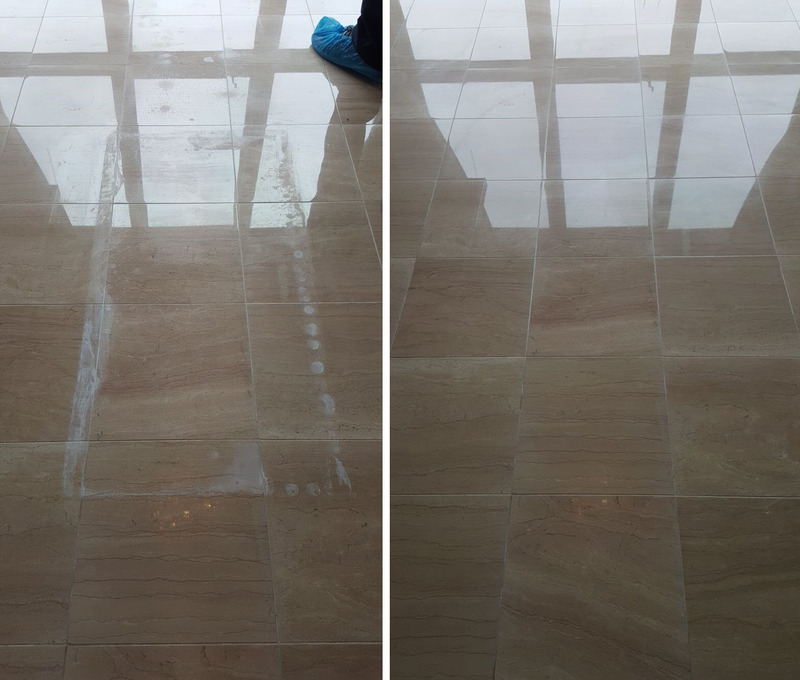 How Often Should You Polish Natural Stone Floors? 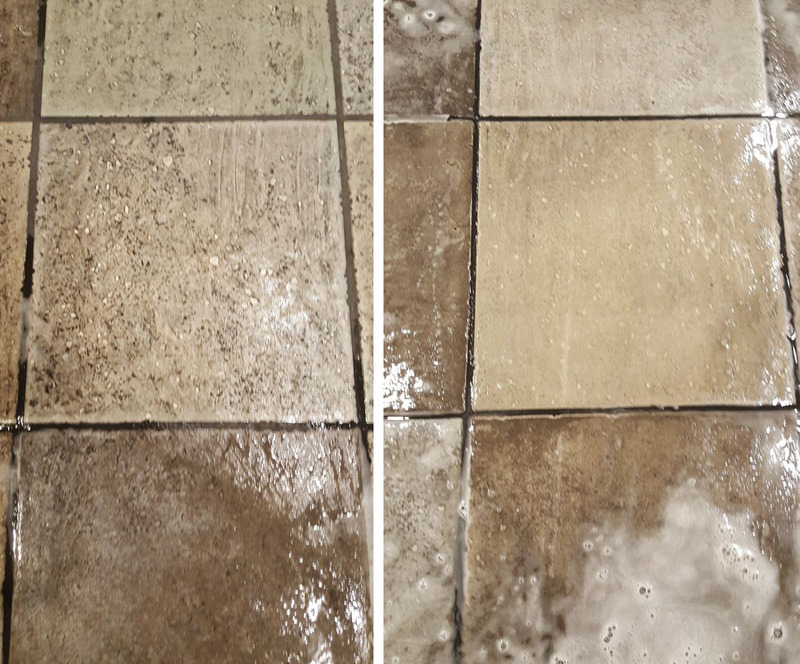 Knowing how often you need to polish your natural stone flooring can be tricky. There are many different things that will play into how often your floors will need to be polished. One of the larger factors is the location of the flooring and how that matches up to your traffic pattern in your house. 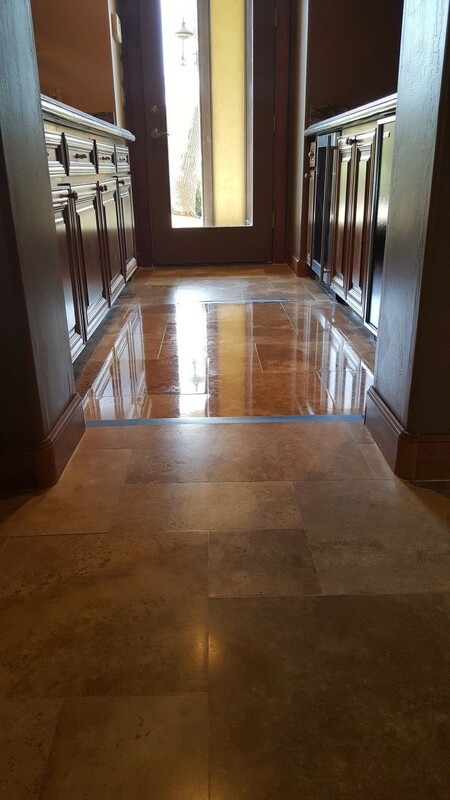 If you have natural stone flooring in areas where there is high-traffic, like an entryway, you will need to polish them more often than if you have the natural stone flooring in a formal dining that is rarely used. Your lifestyle also plays a large role in how often your floors will need to be polished. 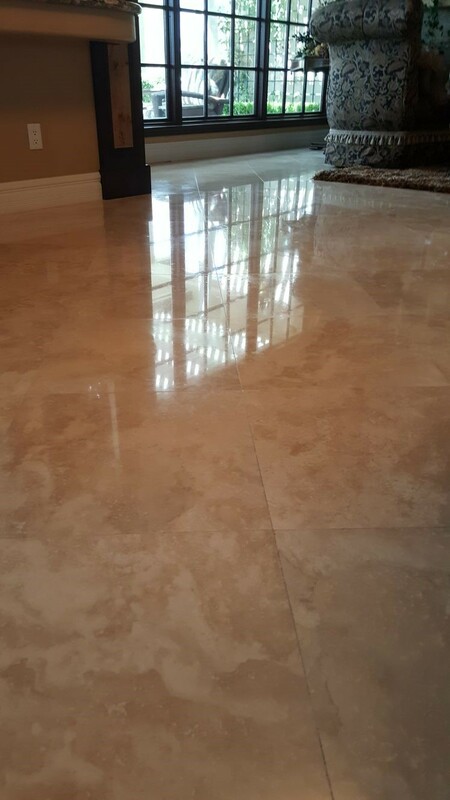 If you have lots of kids running around on your natural stone flooring it will clearly needed to be polished more than if you have no children at your house at all. Whether or not you wear shoes in your home will also be a contributing factor. 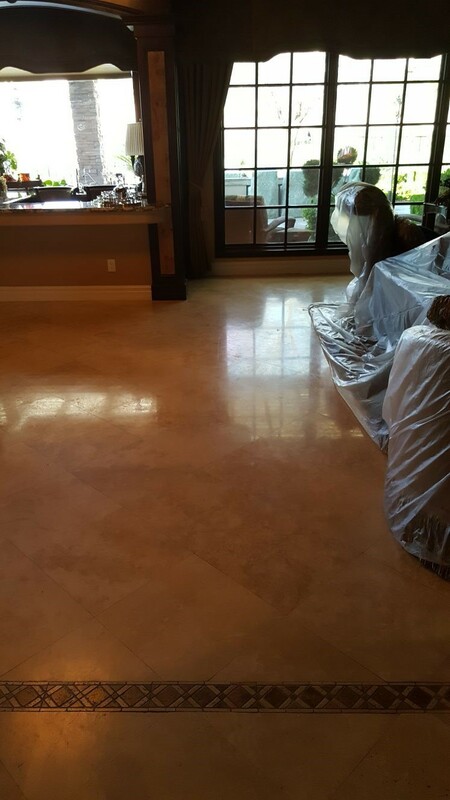 If you have pets in your home that will also play a factor in how frequently you will need to polish your natural stone flooring. Pets constantly walking on your natural stone floor will cause them to wear faster and look dull sooner as well. 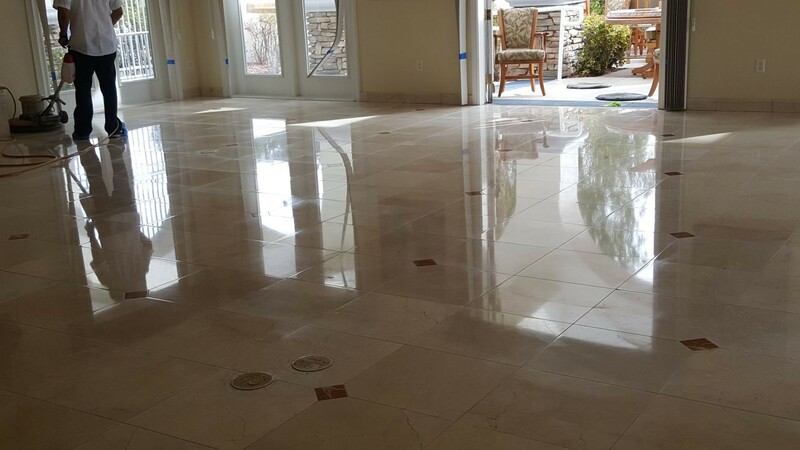 The type of natural stone flooring you have will also play a part in how often your flooring needs to be polished. The stone density, or hardness, of your flooring makes a large difference. The harder your stone is the less frequently you will have to polish it. 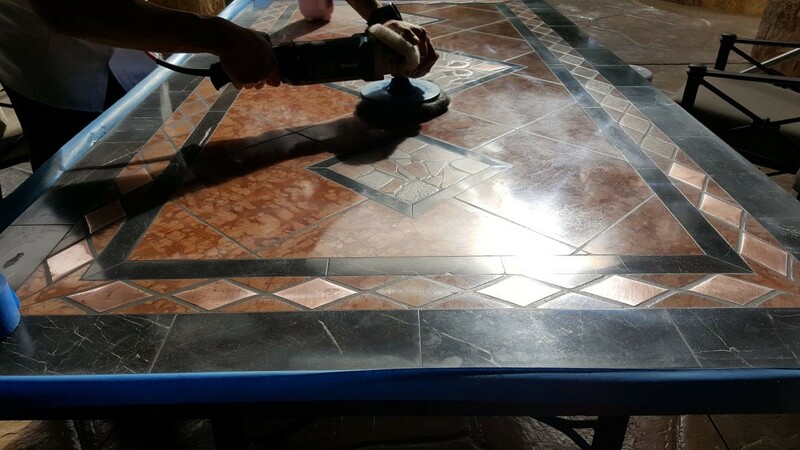 You will know that it is time to polish your natural stone flooring by looking at it. 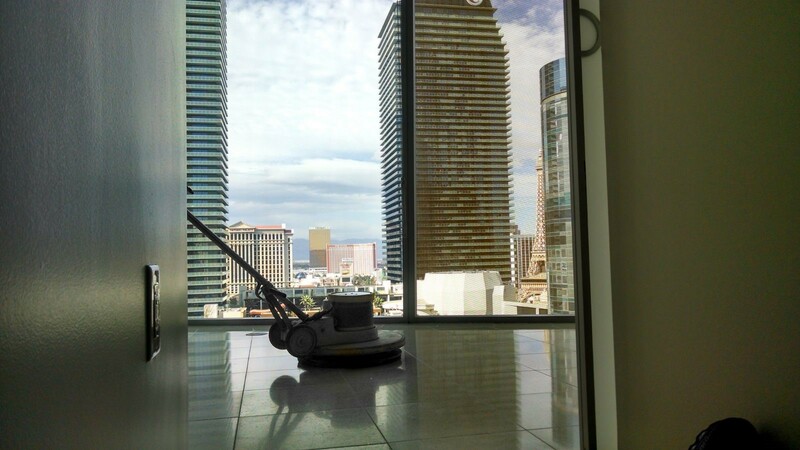 When the shine on your floor is gone you will want to have your floor polished. Grit and sand cause the shine on your floor to become scratched. These scratches are extremely small and hard to see. When the light hits a scratch free floor the light is reflected causing it to shine. When light hits scratches the reflection is interrupted and it creates a dull or blurry appearance. 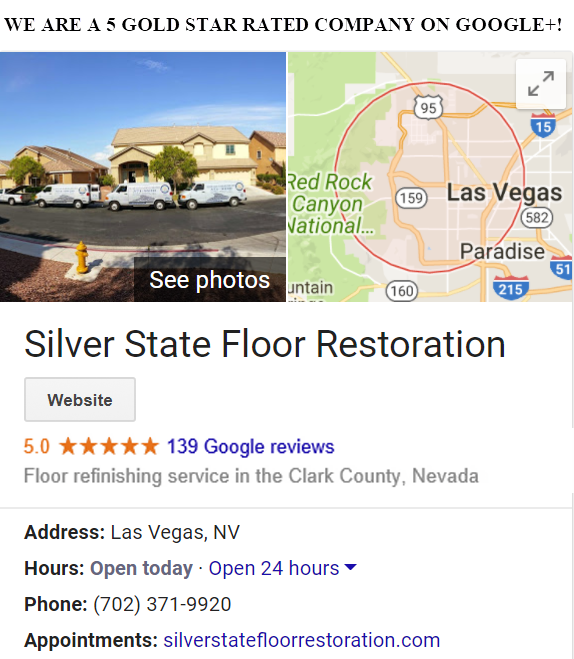 When you notice that the shine on your natural stone flooring is just not the same as it used to be it is time to call in Silver State Floor Restoration to come and polish it. 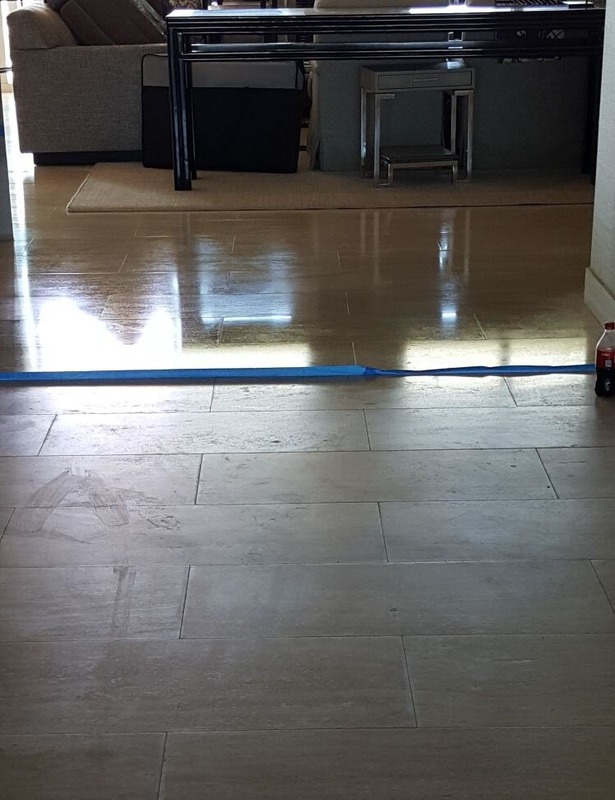 If you are not sure if your stone flooring needs to be polished we can come and inspect it and give you our honest opinion. Contact us today!